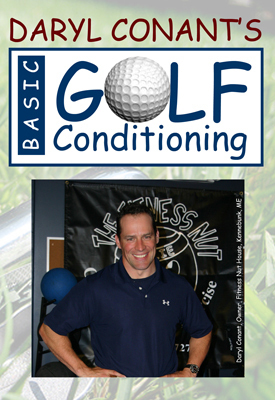 If you want to have better flexibility and rotational power in golf my Basic Golf Conditioning DVD will teach a simple effective way to train the muscles functional for golf. You can do this program at home, in a hotel, or in the club house. By doing this simple exercises I have seen my driving distance go from 300 yards to 350 yards. It is a great gift for the golf enthusiast.